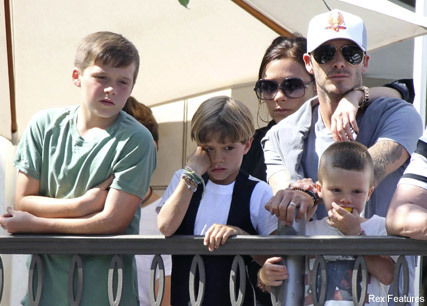 David and Victoria Beckham searching for new British home? Last year, the rumour mill went into overdrive amid reports that David and Victoria Beckham were finally planning a move back to England. Now the pair have added further fuel to the fire, by starting the search for a brand new home in the country. It’s thought the couple are planning to move back to Britain full-time when David’s contract with American-based football club LA Galaxy runs out later this year. And with a fourth child on the way, reports suggest Mr and Mrs B want a more permanent base, close to friends and parents. 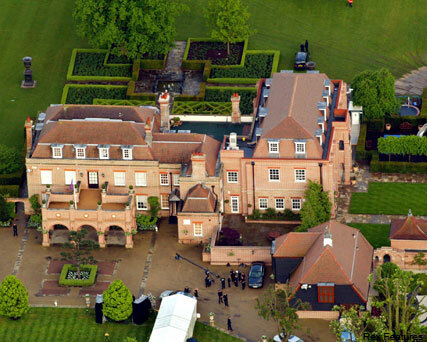 Although they already have a home in the UK – the sprawling Beckingham Palace mansion in Sawbridgeworth, Hertfordshire – it’s thought the famous couple feel their well-known home is ‘no longer private enough,’ and are on the hunt for somewhere new, away from prying eyes. And their location of choice? The Lamerwood Golf Course in Wheathampstead. Earlier this year, it was rumoured the couple had even begun looking at schools for children Brooklyn, Romeo and Cruz, and enrolled their brood in a local private venue, which accepts both borders and day students. Yesterday the family were spotted celebrating mum-to-be Victoria’s 37th birthday, at swanky eatery Bouchon Bistro in LA. ‘So many beautiful flowers and messages!!! !having a wonderful day with my four boys!!! !x vb,’ Mrs B Tweeted. Would you like to see David and Victoria move home to England? Let us know in the comments box below.